The launchserver.bat says 4096Mb is over the maximum heap (I have 16GB of RAM) and I have tried playing around with the RAM usage value and doesnt seem to work, when the .bat is run with administrator it says the jar file is then not found. save it and you're done. However you will always have to add swtich the ram number in launcher options. I was wondering why this modpack doesn't have familiar fauna and Millenaire mod? I would love this modpack if it did. I still like it a lot though! When I run this, and get to the start screen, there are only two buttons available. One for going solo, and the other for joining a server. I can't find an exit button, am I missing something? I want to play this with my son, but explaining how to open task manager to kill java in order to close the game isn't something I really want to have to do. There seems to be a problem with user interface.First press Ctrl+F11 and stretch the minecraft window.Then as the rest of the options become visible in order to finally solve this problem go to options which is a button with sliders on it and then video settings.At the GUI scale option press it as many times in order to reach Large option but do not leave it at auto.After that fullscreen it again and your problem is hopefuly solved from now on! Does anyone know what tools I can invest into for best terra-forming (stone mainly)? I've seen the Invar Hammer in Stone Block and that's the kind of thing im looking for. Straight up block destruction efficiency. Aether quest doesn't work well cause the mod itslef has several issues. In reply to iPsychomad: By default it's "Biome Bundle". Delete it and next time you start the server it creates a new world. Hey i tried to run a server with the pack you provided but when i do it says this if you could help me out that would be great it seems like a really fun modpack and i would like to play it with my friend thanks already! the eula is set to true and whenever i press a key it just closes. im running it from here and i updated my java aswell. Do you know why I like this pack? I like it because it focuses on exploration, not those annoying magic ‘ritual’ mods like Astral Sorcery and Thaumcraft (I hate those…)! I tried to create a second world and it replaced my first world somehow. Any ideas on how to recover the first world? in the quest book, The journey. Do you get some special things for swords if you choose path of warrior or you just get the stuff? 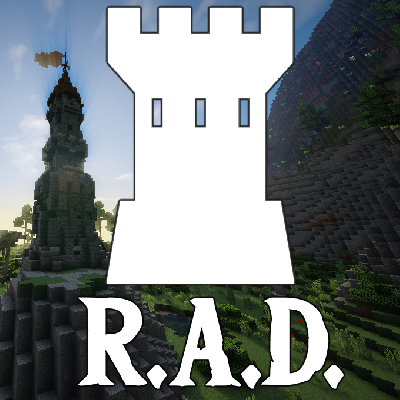 Does anyone know of a shader that plays nice with this modpack? I'm getting twilight biomes in the overworld biome bundle generation, is this normal? Hi. So i have been trying to add optifine to help play the pack but it doesnt seem to work. It kepts saying that it could not find the minecraft version. So im not sure what to do about it. I was wondering if you got any ideas? I'm really enjoying this pack, and added realrender to my copy so I could dungeon crawl while seeing my arms. But, there's a mod giving swimming an animation that bobs and messes with the body rendering. I cannot, for the life of me, find out what mod this is. If anyone knows what mod is doing this, please do tell.